SIZE: 12 1/2" by 8 1/2"
This rusty cast iron pan was found at an abandoned mine site near Tombstone, Arizona. A perfect conversation piece that adds charm to any kitchen. 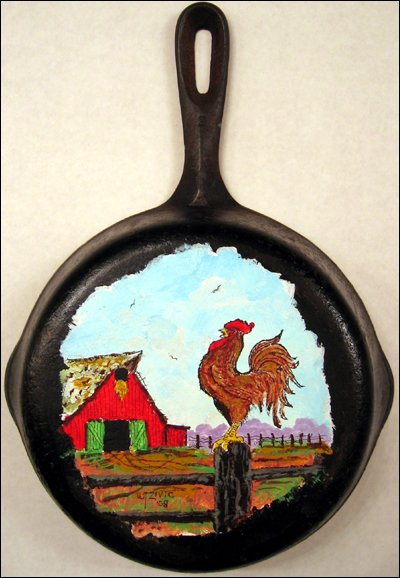 The scene depicts a proud rooster strutting his stuff as he announces the morning to the entire barnyard ... and beyond!